On every level of government (or, more correctly, public administration)—from the smallest matrilocal community and all the way to the whole country of Egypt —there was a dual governing system. In many ways, this system of dual governing continues in our present time. In the case of Britain, there is the British monarch as the head of state, who is the head of the Church of England and who inherits the throne according to specific precedence. However, the British monarch does not run the daily affairs, which are run by a prime minister who presides/oversees the work of the various ministries/departments. The prime minister is acting on behalf of the monarch, even though the prime minister (and his political party) are elected by the people. We even find similar dual systems of governing in countries with no monarchs, such as Germany and Israel, between a president and chancelor/prime minister. 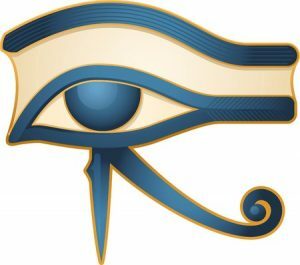 Similarly—in conceptual format—at the head of the Ancient Egyptian society was the pharaoh, who represented the cosmic link between the natural (earthly) and supernatural (divine) powers. His role was not to rule, but to perform rituals to maintain the welfare of the society. The pharaoh deputed his authority to the supreme/chief judge/governor to run the daily affairs, one who was known since at least the Old Kingdom era (2575–2150 BCE) as the Second after the King. He was the chief of the whole administration. Each province (nome) was governed under the same dual system of spiritual and administrative leaders. 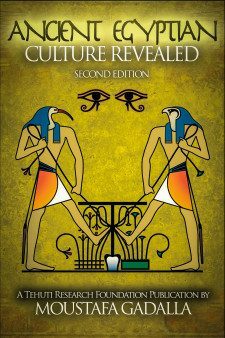 This dual system was tailored after the Ancient Egyptian cosmic allegorical prototypal system of government between Amen-Re (King of the Universe) and the governor (Thoth, the neter (god) of wisdom—the Wise Tongue/Sound/Voice). Thoth is thus the model executive and the official spokesperson. The Ancient Egyptian governor was also known as the chief judge. The verb-stem of the Egyptian word for governor, (qadi) is qada, which means to get done; thus the term qadi, in the larger sense, means ‘the executive’. The chief judge and governor presided over the head (executives/judges) of the various departments called the great/public houses such as agriculture, treasury, etc. Likewise, on the regional and/or local levels, the office of governor was at all times of the highest importance, and to his charge were committed the management of the lands and all matters relating to the district’s internal administration. He (and his supporting superintendents) regulated the survey of the lands, the opening of the canals, all agricultural and communal projects, commerce, and all other interests of the community/district/province/country. All causes respecting landed property and other accidental disputes were referred to the executive judge and adjusted before his tribunal. The “governor” was the Chief Executive Officer who executed the policies and laws as established by the legislative branch, the Council of Elders. The smallest matrilocal community had a leader/king who governed with a council of elders. The council of elders, as representatives of their families, were equivalent to the legislative branch. They established policies and acted as final arbitrators (judges), if they needed to. The leader (and council) appointed/selected an administrator (governor, judge) to run the daily affairs. He had superintendents for various communal activities. He would arbitrate in cases that couldn’t be resolved at lower levels.